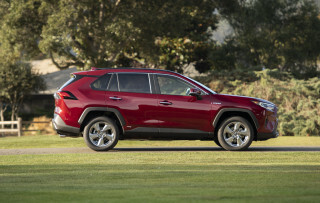 New crossover is critical to carmaker’s revival. Centerpiece snout, smooth and perky powertrain, reasonable base price. Handling's on the soft side - but is an SVT version on the way? No manumatic controls for the gearbox - yet. If all the questions and compliments we fielded as we drove an early Edge prototype at the vehicle’s official launch in San Francisco were any indication, Ford might finally have landed a home run with a vehicle that really appeals to the masses. The attractive design has stayed true to the concept shown this past year at Detroit , with an exterior look that’s stunning — especially in the available Blazing Copper hue, the same as the concept. Ford uses the word bold frequently when describing the Edge’s design, which is the correct assessment from the front, where three wide bright-chromed bars mark the grille, with headlights flanking the grille and signal lights wrapping around into the front fenders — a feature that is soon to be adopted as a Ford family styling cue in U.S. products. Is the Edge appealing enough for Ford to bring crossover shoppers into Ford dealerships? With Ford targeting a wide range of buyers, from young, active types to older empty-nesters, we pondered the package and found out if its performance is everything the edgy design hints at. From all angles, the Edge is sleek and well proportioned, but the shiny snout remains the centerpiece. Looking inside, the interior is definitely better than most current or recent Ford models, but it’s not exactly high-fashion or as bold as the exterior. Ford really delivers on packaging, though, and someone made a wise decision to skip what would have been a rather useless third-row seat, opting instead for a roomy back seat and plenty of cargo space. 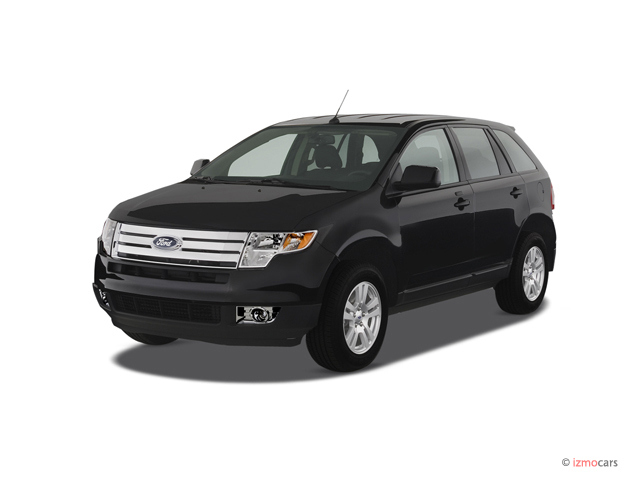 The front seats are uncommonly good for Ford, with plenty of support all around, a commanding view out over the hood, and good adjustability for a wide range of sizes, while the back-seat passengers benefit from a very well-planned seating position. Passengers sit at a very natural height in back, not down low with raised knees to make up for headroom issues nor up on a pedestal. The rear seat is split 60/40 and does fold forward easily, expanding the already quite spacious cargo floor. There’s a huge Vista Roof option to let the sun shine in, while the removable tray that’s part of the center console is large enough to hold a laptop. 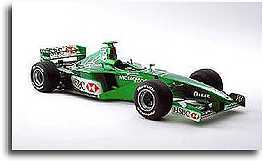 The 3.5-liter V-6, called Duratec 35 by Ford, is an all-new engine, despite bearing a similar name to the 3.0-liter Duratec. 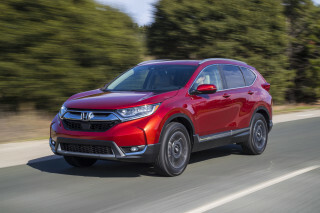 It makes a healthy 265 horsepower and 250 lb-ft of torque, and puts Ford right in the middle of the pack among mid-size crossovers like the Nissan Murano, Honda Pilot, and Mazda CX-7. It’s an aluminum engine with four valves per cylinder and variable intake timing, along with an electronic throttle. In California it meets ULEV II standards, while in other states it meets LEV II standards. 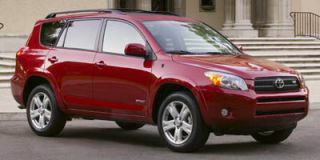 A noteworthy positive is that it runs on 87-octane, while some competing vehicles, like the Nissan Murano, take premium. The V-6 is connected to Ford’s version of the new six-speed automatic. Ford boasts that the transmission has fuel economy gains of up to seven-percent on the highway. Fuel economy runs 25 highway with front-wheel drive 24 highway with all-wheel drive, with city ratings in the upper teens. A single powertrain control module is shared by the engine and transmission, and the two were developed together so as to assure top drivability and lowest possible levels of noise, vibration, and harshness, according to Ford. The powertrain really is as smooth and perky as promised. The engine is torquey and responsive from idle on up, while shifts are quick and precise and passing power is always available. Idle quality is great, as is general refinement while cruising around town at a leisurely pace. Open up the throttle and push the engine into its high-rpm range, and a little coarseness is exposed. But compared to past Ford V-6 mills — such as the old pushrod design used in the Freestar minivan, or even the older Duratec — the Duratec 35 is a big, big improvement and feels much more upmarket. 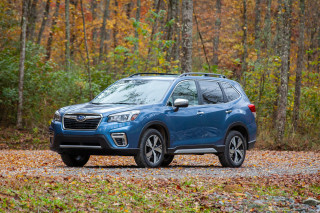 It puts it on the same page as the Honda Pilot and Toyota Highlander, and much better than the coarse V-6s in GM’s Chevy Equinox and Pontiac Torrent. 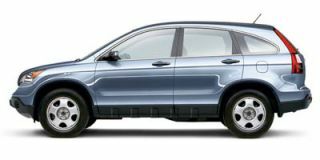 Edge will be available in either front-wheel-drive or all-wheel-drive, though our test vehicle was a heavily loaded all-wheel-drive model. The automaker describes: “Using a preemptive slip strategy, the [all-wheel drive] system continuously monitors vehicle speed, throttle input and steering angle to seamlessly deliver torque to the appropriate wheel even before wheel slippage occurs.” But we when pulling out of a very steep, oddly inclined driveway ramp for a photo-op, we were able to stump the system, becoming temporarily stuck when the rear left wheel lifted slightly off the ground. After some wheelspin from the front right wheel, the system couldn’t supply enough torque to the front wheels to pull us out. Backing up slightly to where the front wheel was lifting, we had no problem pulling out, with a little help from the traction control. The lesson is that the Edge makes no allusions of off-road-ability (though Ford publishes approach, departure, and breakover angles), but it should do fine on snowy streets. The Edge is built in Oakville, Ontario, on a uni-body platform that’s shared with the Ford Fusion sedan and derived from that of the Mazda6 (and directly related to Mazda’s upcoming CX-9). A stamped-steel ladder frame underneath reinforces the body and adds side-impact protection, and an isolated perimeter subframe helps with stiffness while isolating road harshness. There’s a familiar MacPherson strut and lower control-arm arrangement in front, with a four-link independent setup in back, tuned rather tightly. Chalk in four-wheel disc brakes and wide all-season tires, and you have a very carlike configuration. New EPA rules taking effect in six years could mean big pollution cuts in tractor trailers — and big diesel price increases, say the oil companies. The Edge does feel very carlike, maneuverable, and almost zippy in ordinary city and suburban driving, with a smooth ride that’s comfortable but not too bouncy. Handling is a nice compromise that’s just fine in the parking lot, darting from lane to lane on the expressway, or even taking on curvy backroads. We especially applaud the steering; it’s crisp and direct, and the power assist is just right. Only with some very spirited driving, up and down steep hills and around tight curves in California ’s Marin County , just north of San Francisco , we noted that its sheer mass seems to be the only limit to driving enjoyment. At nearly 4300 pounds, the Edge is heavier than Ford’s larger Freestyle crossover (which has three rows of seating and more cargo space) and only about 150 pounds shy of a base Explorer, Ford’s traditional truck-based SUV. Handling isn’t completely soft, but it’s clearly tuned more for a good comfort/handling compromise, closer to the Honda Pilot than to the Mazda CX-7. While the Edge handles far better than an Explorer, a Freestyle, or much of the sleek crossover competition, it could use a little more body control to take advantage of an excellent, sporty chassis. There’s some opportunity for improvement with stiffer anti-roll bars and stiffer sidewalls — Ford ensures us that it’s in the works. Along with that, one thing the Edge doesn’t offer yet is manumatic control for the six-speed automatic. The transmission functions well for nearly all ‘normal’ driving, with smooth, muted shifts in around-town puttering and snappy, decisive shifts at full throttle, holding each gear to around 6200 rpm (500 short of redline). There’s a button on the side of the shift knob that locks out overdrive and engages a hill mode, but for especially demanding situations it doesn’t always do what you want, especially on moderate uphills, where we would have liked to keep the transmission from hunting between gears but didn’t necessarily want the lowest possible gear, which seemed to be what the ‘L’ position provided. Gripe aside, 99 percent of buyers will probably be satisfied with this setup. For the rest, there’s the Mazda CX-7. We came away from an afternoon of hard use with a very positive impression, but a few interior gripes. There are plenty of cubby and stowage areas in the passenger area, but the cargo area was lacking. Lifting the basic-carpeted cargo-floor cover of our loaded SEL, we found only the spare and some hard plastic pieces rather than the hideaway compartments and cleanable surfaces that have almost become expected in this market segment. Another gripe is that the Edge’s power window system only has a one-touch-down feature for the driver’s window, and the window doesn’t even have on-touch-up. None of the other windows have one-touch up. This is particularly annoying in city driving, with frequent stops for tollbooths and parking attendants. Finally, parts of the Edge’s so-called Urban Loft interior just don’t match the fresh exterior. Controls, switchgear, and surfaces feel a little stale, borrowed from Ford’s less-than-stellar parts bin where a full-on rethink would have been in order. One other issue is that Bluetooth hands-free technology is not available, even as an option. Ford said that will change soon. All the important safety features are standard. AdvanceTrac with Roll Stability Control, Ford’s stability control system aimed at preventing rollovers by not allowing the degree of roll that could lead to them, is standard on all Edges. 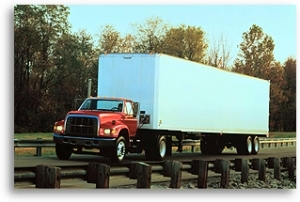 By measuring roll rate in addition to yaw, the system can react proactively, with more accurate side-slip calculations. Front-seat side airbags are standard on all Edges, as are Safety Canopy bags that cover front and rear outboard occupants. Then there’s price, which, from a shopper’s standpoint looks to be what brings the Edge to the forefront. 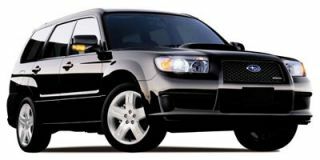 The Edge starts at $25,995 for the base SE front-wheel-drive model. The rear spoiler and dual exhaust are standard on the SE, along with 17-inch painted aluminum wheels. The SEL starts at $27,990 for the front-wheel-drive model and $29,640 for the all-wheel-drive model (which is what we drove) and adds, among other things, chrome tips for the exhaust, along with a six-disc changer, nine speakers, and steering-wheel controls for the audio system. Options include dual-zone climate control; adjustable pedals; heated seats; DVD navigation; a back-seat DVD entertainment system; a big twin-panel Vista roof with sunshade; a reverse sensing system; and 18-inch wheels with either a chromed or painted-aluminum finish. 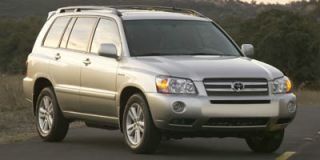 Our test car was a very lavishly equipped SEL model with just about every option but the DVD entertainment system, which would put it into the mid to upper thirties — no longer a bargain, as it’s in reach of plenty of luxury-brand alternatives. 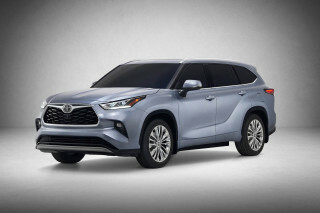 Financially, a modestly equipped Edge looks like a smart option when considering that industry leasing authority ALG recently gave the Edge a 51-percent three-year value forecast — a sign that it will have better resale value than many of its peers. Is the Edge alone going to save Ford? We won’t go that far, but it got us thinking more positive about where the brand is headed. If it signals the new product direction at Ford — good-looking vehicles that perform well — it might just be enough. I love my Edge. 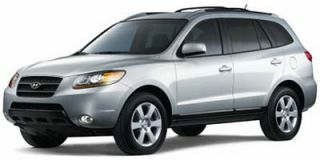 It is reliable, comfortable and dependable. I haven't had to have any repairs even though it is a 2007. I love the beauty of the chassis, I love the color. The only negative is I wish it had... I love my Edge. It is reliable, comfortable and dependable. I haven't had to have any repairs even though it is a 2007. I love the beauty of the chassis, I love the color. The only negative is I wish it had better gas mileage. 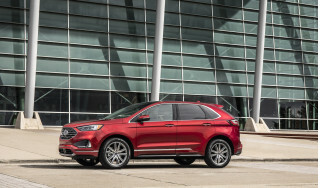 Looking for a different year of the Ford Edge?